Take care of your beloved goalie gloves the best way you can by investing in the Glove Glu Goalkeeper Ultimate Bundle. This bundle of accessories has been specifically developed to care for your goalie gloves by prolonging the lifespan and making them as grippy and fit for purpose. 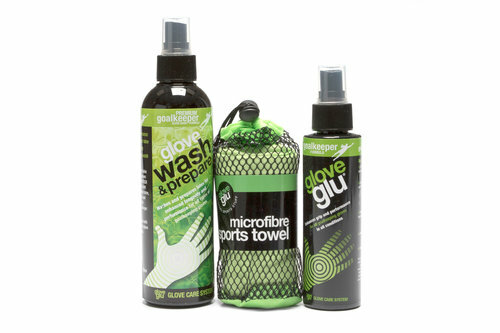 This bundle includes everything needed for cleaning, preparing and improving the grip and has you covered on all basis. Instructions are included on each bottle of product.